Many families that are struggling will identify one person as “the issue.” Having one person to care for (or rage against) soothes the family by allowing them to create a place where they can locate their pain. When the family locates their problem in this “identified patient,” the sense of helplessness is eased as the family bonds through working to “fix” the person who supposedly is causing problems within the family. Though on some level this actually works to stabilize a family, it doesn’t address the issues causing pain in the family and comes at a very high cost to the person identified as the problem. Often this “identified patient” is a highly sensitive individual who unconsciously embodies and expresses the dysfunction of the system. Other times, the I.P. may be a high functioning person who begins to live into the expectations of “having problems”. In many cases, the family rallies around an identified patient (often a child or adolescent) while other family members with significant pain remain unseen and unaddressed. Family systems therapist work with families to help them understand the dynamic the family is creating together. By listening to each family member report on their experience within the family, the therapist can join with the family to help them understand how pain within the family has moved through the system, and how the system has coped with the pain. What follows is the text from a Case Study in Structural Family Systems Therapy addressing the conceptualization of Tobias, Lindsay, and Maeby Fünke (From Arrested Development) if they arrived in therapy when Maeby was in mid-adolescence. 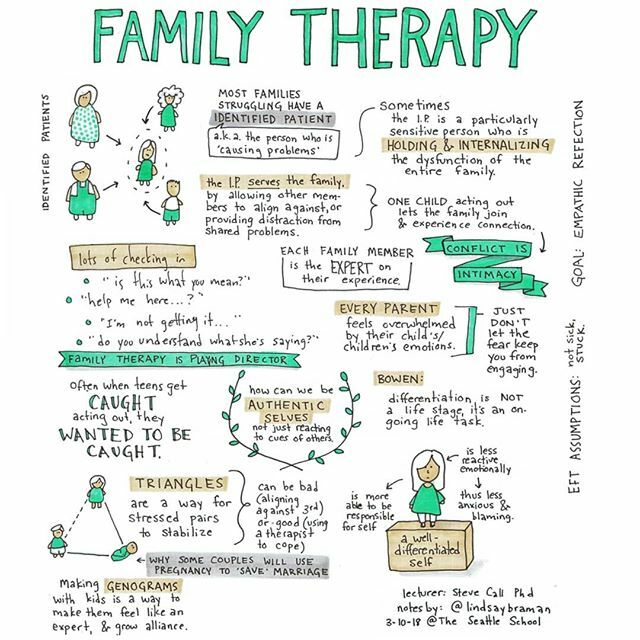 Structural Family Therapy is a modality developed primarily by Salvador Minuchin in the 1960’s (Vetere, 2001, p 134), in which therapists “work with what they see, not what family members describe” (Nichols, 2017, p. 119). Accordingly, work with the Fünke’s will attend to not only to the problems they report but also the patterns in which the individuals and subsystems (such as mother-daughter, couple, or father-daughter) engage. As the Fünkes begin work with their structural family therapist, their therapist will be evaluating both the content and the context of the problems reported. Their relational patterns active in session and their description of the family and its problems are regarded as valid, even if they are in opposition to outside resources such as a school or truancy offer’s report (Minuchin, Colapinto, & Minuchin, 1998, p. 42). According to Vetere (2001) structural family systems assessment includes assessing relational patterns, system’s flexibility to change, responsiveness to member’s needs, family life-cycle stage, relational significance of symptomatic behavior, and the family’s context within other systems that support or stress their own system (p. 135). This extensive list of assessment points cannot be fully unpacked in a paper of this length, but of particular note is how a therapist in this modality examines not just the problematic behavior of one family member and its impacts on the family, but also what meaning is created through the behavior and how that behavior impacts the family system and the relationships of individuals in the system. Structural family therapy, in this early assessment sessions, will consider where there are patterns of disengagement or enmeshment with Tobias, Lindsay, and Maeby and will attend to how, when, and to whom each family member relates (Call, 2018). One tool this therapist might use in assessment is asking Maeby “what her parents do that might provoke a certain response from them” (Nichols, 2017, p. 120). The therapist, like family therapists of other modalities, is seeking to locate the Fünke’s pain and find what’s missing (Call, 2018). The three members of the Fünke family form a family system, however their system is placed within larger systems that include their racial status as a white family, their socioeconomic status, and the employment status of both parents as well as educational status. Tobias, as a former medical doctor and psychiatrist, carries values from his system which heavily emphasizes education. Lindsey, in contrast, comes from a system in which status is earned through physical appearance and wealth. Their daughter, predictably, shows signs of struggling to integrate these two systems- unable to bond with her mother through success in beauty pageants, Maeby skips school- notably, for the purpose of working. “Structural family therapy works with the processes of feedback between circumstances and people involved” (Vetere, 2001, p. 134). This concept can be demonstrated inter-systemically through the feedback loop of the Fünke family and their close (potentially enmeshed) extended family. Maeby’s truancy has met with no consequences within the system, however if Maeby was successful it could predictably be met with dissonance within the extended family, who might begin to see her as a threat or an outsider due to higher function behavior making her less able to fit in with her low-functioning, responsibility-eschewing extended family. In SFT the goal is to work with the family to modifying family’s transactional rules (i.e. who gets to say what, to whom, and how they are allowed to say it), develop appropriate boundaries (i.e. helping parents parent parentified children) and in doing so restructure family interaction (Call, 2018). Using the feedback loop previously discussed, this modality aims to change problem behaviors not by direct action upon the behavior, but by changing the feedback loop that is causing and/or reinforcing the behavior. In the case of the Fünkes, there are significant boundary struggles that impact the transactional rules: Maeby, who has experienced significant parental neglect, is allowed- even expected- to behave as an emotionally self-sufficient third adult in the family. When Maeby interacts with her parents, both she and her parents conduct those conversations as if Maeby is an adult. While respecting Maeby’s development status in mid-adolescence, healing for this family through the SFT lense would include helping Lindsay and Tobias understand their roles as parents and setting boundaries around their role. Once “reinstated” as parents, though backlash in the form of behavior could be expected from their teenager, new transaction norms could be created. 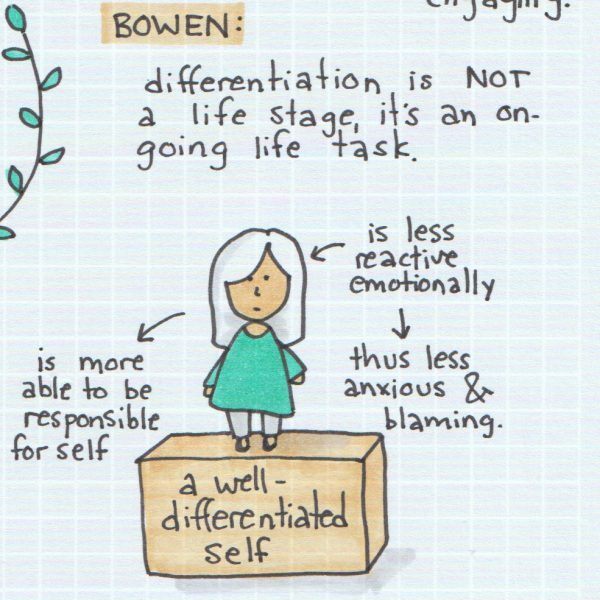 As the feedback loop changed from one that passively reinforces Maeby’s freedom to be truant to one that provides the structure and parenting support Maeby needs to be successful as a student, this model would anticipate a lessening of problem behaviors. Vetere (2001) succinctly summarized the process of SFT as addressing seven categories: joining/accommodating, structural mapping, enactments, highlighting and modifying interactions, boundary making, unbalancing, and challenging unproductive assumptions (p. 135). For the Fünkes, this might look like first forming a therapeutic alliance that includes all members or subsystems (as opposed to forming an alliance with some members and excluding others) and mapping the systems, subsystems, and individual roles within the Fünke family. The Fünkes Structural Family Therapist would encourage the family to enact their communication problems in session rather than reporting on what happened between sessions. For example, Maeby who has found lying to be an adaptive coping skill in her family might lie in session to her family or therapist. Rather than reporting on lies Maybe told in the previous week, the therapist would help the family work with the current experience, restructuring how the parents respond and allowing the family to test new behaviors within the safety of the session. Their therapist would use the active behavior to prompt thought within the family about who she’s lying to, which parent is better at detecting lies, what feelings the lying evokes in the parents, what behaviors those feelings initiate in the parents, etc (Nichols, 2017, p. 120). Through enactments, and the unbalancing process of redefining boundaries, unproductive responses, and patterned responses, the process of structural family systems therapy seeks to help the family heal, primarily through a process of enactment-unbalancing-restructuring that begins to “delineate and reinforce the individual and subsystem boundaries” (Vetere, 2001, p. 135). Practicing these skills in session is an important part of successful interventions (McMahon & Forehand, 2003, p. 105). Though delineation of boundaries is a goal in SFS, the Fünke’s therapist would still need to be very mindful of cultural differences, particularly if the Fünke’s were a family from a collectivistic culture. 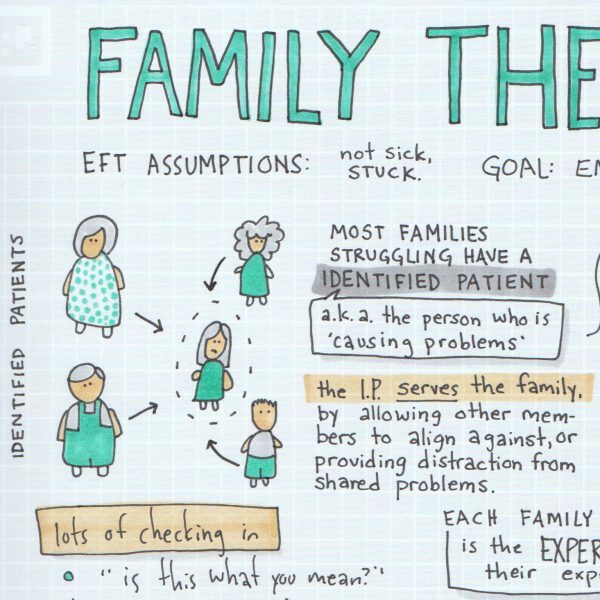 In the Fünke’s therapy, their therapist would be an active participate in their family system during sessions (Call, 2018). Vetere (2001) states, “Structural therapy posits that for therapy to be effective, the therapist needs to form a new system with the family group” (p. 135). The Fünke’s therapist would offer support for what is going well within the family and creating changes that are manageable to attempt within the stressed system. (Vetere, 2001, p. 135). The Fünke’s family is a stressed system with a structure and relational patterns that reinforce their daughter’s truancy and lying, strain the marriage, and make it increasingly difficult for Tobias and Lindsey to move towards one another in intimacy. This paper has tracked how Structural Family Therapy would conceptualize the treatment of the Fünkes through assessment, systemic issues, and goals of therapy, the expected progression of the therapeutic process and the unique role of the therapist in this modality. The SFS model offers this family hope for change through joining this family in support and restructuring to better define the roles of parent and child and to identify and alter the relational patterns that unintentionally reinforce the truancy, lying, and parentified behavior in the Fünke’s adolescent daughter. Minuchin, P., Colapinto, J., & Minuchin, S. (1998). Working with families of the poor. New York: Guilford Press. Nichols, M. (2017). Family Therapy: Concepts and Methods. 11th Edition. New York: Pearson.